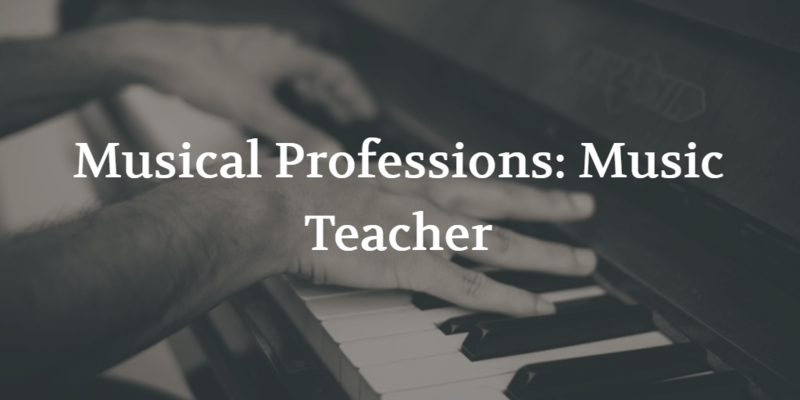 This is the first post in our newest series, Musical Professions, in which we will be taking a closer look at the myriad of careers available to those with a background in, and a passion for music! This usually involves one on one lessons with a teacher who specializes in a specific instrument. Students choose a specific instrument, and their teacher instructs them in how to play the instrument, what techniques to use, what repertoire is best, and often how to perform in public on that instrument. Private lessons can also be taken in music theory, and history. Musicians who work within a school board system have a variety of different responsibilities. Many of these teachers are band or choir teachers, and must develop curriculum both for musical classes, as well as extra curricular musical activities. These musicians have often earned a degree in Education, in addition to their musical qualifications, and they must be well-rounded musicians, able to assist and guide their students, in a variety of musical pursuits. These musical activities are usually extra curricular, and can take a myriad of different forms; community choir, youth orchestra, etc… The music teachers who create these programs have to be self-motivated, and engaged in the community, because they’re often creating brand new programs to serve a musical need not met in the school setting. Music teachers can have a very big impact on their students; explaining difficult concepts, often from a very young age, and encouraging and inspiring their students to continue with their musical studies. Have you ever thought of being a music teacher? Tell us in the comments below!